Down the north hill at the Observatory, is a large gum tree. 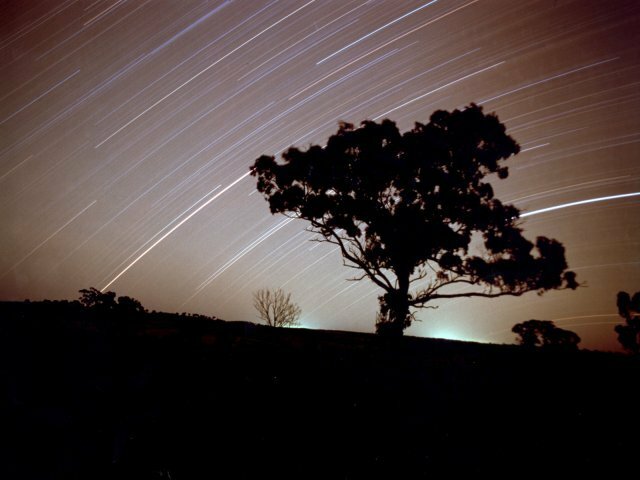 This lovely photo was taken by Young-Beom Jeon from Korea, with the gum tree in the forground and the north west setting starsin the background. 4 hour exposure.